This is a beautifully crafted, evocative piece of art which both clearly explains the foundation of neo-pagan witchcraft and conjures up the feelings which embody it’s essence. 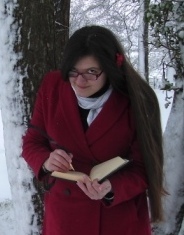 Diary of a Sorceress follows the journey of a lady who goes on a pilgrimage, finds a community and is healed by magic. A true story. Little of this information was new to me and I still found it fascinating and very well worth watching. You can watch the trailer and then choose to download or stream it by clicking on the image below. I may be biased but I truly do think this is a wonderful film and I’m sure you’ll enjoy it. (btw … do you ever use/follow any of the “Third Road” techniques (as in Francesca DeGrandis’s book “Be a Celtic Goddess?” She trained w/ Victor Anderson in the Faerie Tradition in the U.S. I was just curious b/c I have been really into Third Road lately). Thanks Jess! 🙂 I keep meaning to look up her books but haven’t yet. Things happen when they happen, y’know? I have trained in Anderson Feri but I’m not initiated so when I use the term Faery I’m not actually referring to the Anderson’s tradition though I do have a history with it and adore it deeply. 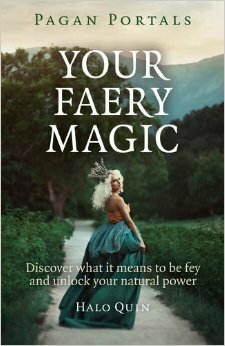 The term refers in the documentary to my work with the Fae themselves and my dedication to the Faery Queen. I do know a lot of folks who love DeGrandis and it does keep being recommended to me… maybe I should hunt down a copy sooner rather than later! I’m pretty eclectic … but I love the Third Road stuff because it’s really, really simple, but powerful at the same time. Like, I’ll read about a purification ritual and think it sounds too easy, then I’ll try it anyway & feel amazed at the results. I definitely don’t follow any one tradition, but I like the Third Road’s practicality & the idea that you CAN practice the craft/worship/whatever you call it, in a simple way, at any time … or be more ceremonial if you want. I’ve been able to add some of DeGrandis’s rituals & prayers into my own practice and they’re so easy to incorporate. Plus, she’s a light-hearted teacher/writer, which I always appreciate!